The Pareto Principle suggests 80% of an ice core represents 20% of the chronology. Willi Dansgaard claimed 80% of an ice core represents 10% of the chronology. Some might scratch their heads and say the Pareto Principle only applies to economics. Others might shrug and say Willi Dansgaard suffered a brain freeze. Glaciologists have to live with the consequences. In the land of maths and models the Greenland Ice Sheet is a remarkably resilient relic that is surprisingly stable considering the last glacial period is meant to have ended 11,700 years ago. The narrative of the the Greenland Ice Sheet chronology effectively begins with Willi Dansgaard’s Sandwich Model which he developed to date the 1,387 metre Camp Century ice core. Using the magic of maths and models Willi Dansgaard constructed a Sandwich Model [based upon “simple assumptions” that don’t reflect reality] so that very thin annual layers mathematically materialise in the bottom 20% of the 1,387 metre Camp Century ice core. This was all fine and dandy in the late 1960s because nobody really knew any better as Camp Century was the first deep ice core to be extracted from the Greenland Ice Sheet. However, Willi Dansgaard gravity driven Sandwich Model became an item of interest when the 3,029 metre long GRIP ice core was extracted from the Greenland Ice Sheet in the 1990s. Somehow, or other, the magic of maths and models was worked on the GRIP ice core. This is a stunning achievement considering the GRIP ice core is over twice the length of Willi Dansgaard’s Camp Century ice core. 6) You avoid comparing the GRIP and Camp Century ice core chronologies. In the land of maths and models it’s possible to scale-up Willi Dansgaard’s Sandwich Model by 218% to create a chronology for the GRIP ice core. But there are some very obvious real world issues when the Sandwich Model is scaled-down by 93% to create a chronology for a 80 metre core from the Colle Gnifetti glacier. The first 80 metres of a Colle Gnifetti core is technically firn. Colle Gnifetti cores at 30 metres are comparable with the 1st metre of the Camp Century core. 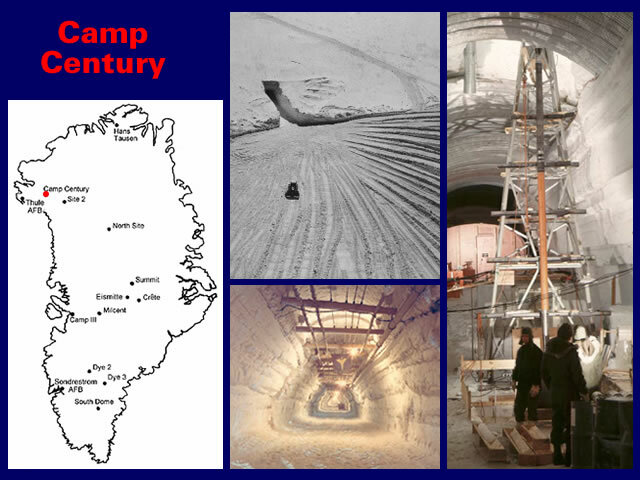 Camp Century was a very curious US military facility “burrowed some 100 feet beneath the surface” of the Greenland Ice Sheet. 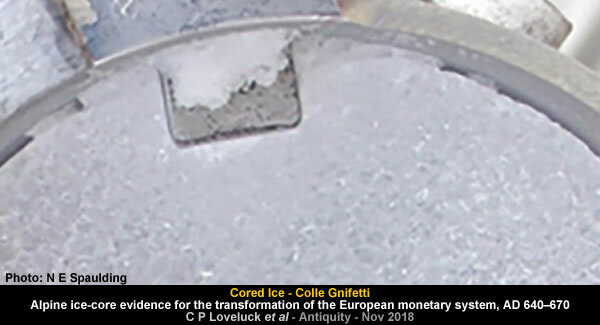 But this comparison is very limited because the temperatures in the Colle Gnifetti cores are only comparable with the bottom 150 metres of the Camp Century ice core. And it appears Greenland firn is predominantly winter precipitation. Equipment parked out on the snow cargo berm has to be dug out, thawed, tested, tuned. Buildings are opened and cleaned. Summer camp—the flotilla of Arctic Oven tents—is set up. And then there’s the ice and snow. It is a colossal job to clear the snow blown over Summit’s winter real estate. Some buildings are nearly buried. And the skiway, nearly three miles of snow and ice, has been largely untended since August. While Colle Gnifetti firn is predominantly summer precipitation. … it’s debatable just how much of any year is reflected in the Colle Gnifetti ice. In the land of maths and models a “new” and “novel” method for creating a Colle Gnifetti chronology was published in 2009. The 2-Parameter Model suggests 80% of the core representing 5% of the chronology. No wonder Glaciologists prefer nicely rounded out logarithmic graphs! Here we present a new approach and technique, allowing dating of any such ice core at arbitrary depth for the age range between ~500 years B.P. and the late Pleistocene. This new, complementary dating tool has great potential for numerous ice core related paleoclimate studies since it allows improvement and extension of existing and future chronologies. Using small to ultrasmall sample size (100 μg > carbon content > 5 μg) accelerator mass spectrometry, we take advantage of the ice-included, water-insoluble organic carbon fraction of carbonaceous aerosols for radiocarbon (14C) dating. The chronology incorporates a new technique for dating the “bottom ice” from Colle Gnifetti. Analysis and dating of the bottom ice of the Colle Gnifetti glacier (Swiss-Italian Alps, 45° 55′ 50¨ N, 7° 52′ 33¨ E, 4455 m asl) has been successful in a first application, and the results revealed the core to cover most of the Holocene at the least with indication for late Pleistocene ice present at the very bottom. 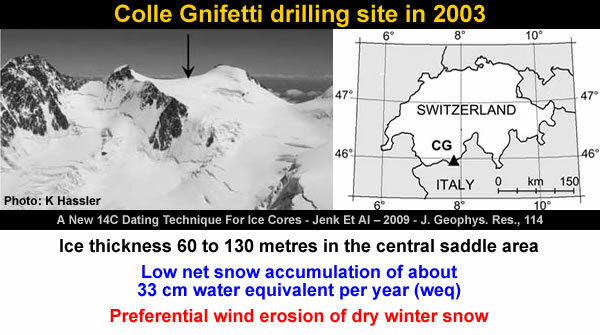 Nine core sections were analyzed for 14C to obtain dating points also for the lowest part (67.2– 80.2 m/bedrock) of the Colle Gnifetti 2003 ice core (CG03). The uncalibrated mid-point data produced by this new technique goes so far as to suggest [in whole numbers] 86% of the ice core represents 2% of the chronology. Personally, I don’t buy this “new” and “novel” method for creating a chronology. 80% of the Colle Gnifetti ice core represents 82% of the chronology. 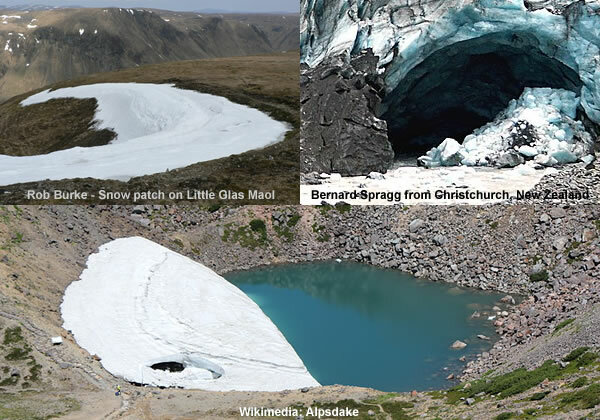 … a visual inspection of the ice core suggests the glacier dates back to the 1680s AD. Even the authors don’t buy the results. This is partly because they believe in Greenland’s magical maths and models. Figure 4 presents the stable oxygen isotope record (δ18O values in % relative to Standard Mean Ocean Water (SMOW)) of the Colle Gnifetti 2003 ice core in which a drop to more depleted isotopic ratios was observed close to bedrock (~78 m depth). This feature has strong resemblance to the sections in the Greenland ice core records representing the abrupt climate shifts that terminated the last glacial (see Figure 4b). The very distinct signal of the transition from the Younger Dryas into the Holocene for example could be dated with high accuracy to an age of 11,650 years B.P. [North Greenland Ice Core Project members, 2004; Steffensen et al., 2008]. However, radiocarbon dating assigns an age of only ~3 ka B.P. to the pronounced drop in the CG03 δ18O profile. However, because of the above reasons this single result cannot be considered to validate the method. Since the properties of Greenland samples present a specific challenge not related to the samples we are aiming for, no further efforts have been made. Partly because they believe in Radiocarbon’s magical maths and models. The Δ14C values in a chronology can clearly be used to identify catastrophic gaps and catastrophic rises in carbon-14 [see above]. And partly because they avoid questioning what is being sampled at the bottom of an ice core. But, as always, readers should chart their own course through the land of maths and models. 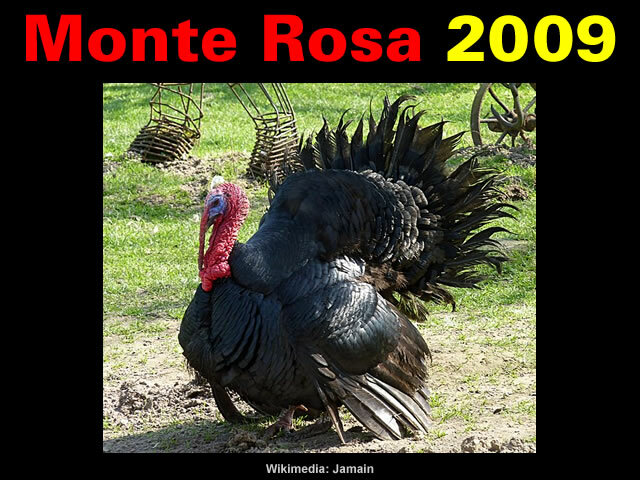 Gallery | This entry was posted in Deranged Dating, Glaciology, Great Greenland Snow Job, Greenland, Monte Rosa - Colle Gnifetti, Radiocarbon Dating. Bookmark the permalink. My own view is that the base [ocean] was flash frozen at the same time the permafrost was formed, topped off with a prolonged period of snow then the ice persisted simply because it could not escape. Probably occured a generation or two before the Vedas arrived in India.